Skirmisher Publishing LLC is proud to announce the release of Castle Builder Volume 4: Towers, the fourth installment in a 10-part series designed to help Game Masters and players plan their ideal fortifications in a step-by-step format from the ground up. 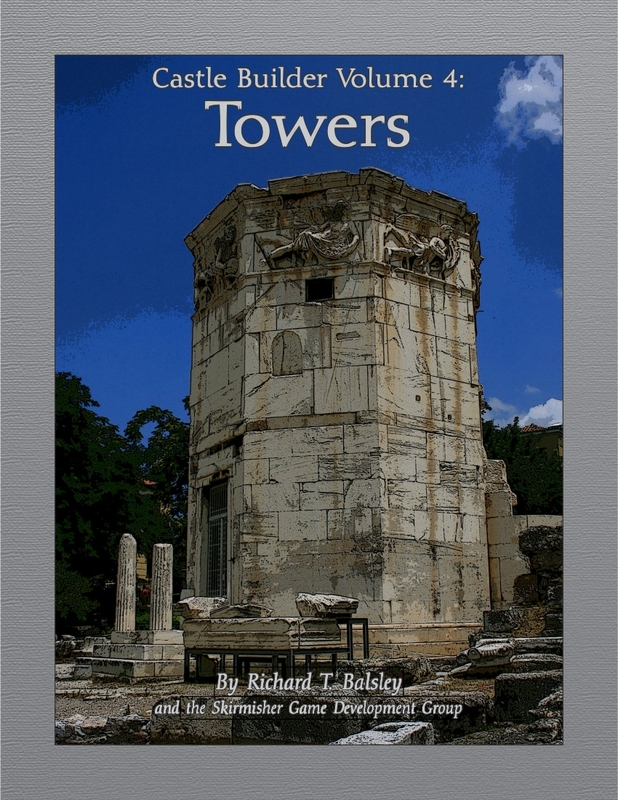 It is written and mapped by gaming author Richard T. Balsley available through DriveThruRPG and other online venues (18 pages, $1.99, SKPE1310). * Floorplans and description for a sample military structure, the four-level Watchtower of the Kithairon Mountains. This book has no specific setting and is designed to accommodate any technological era that one is likely to encounter in a fantasy campaign setting, from the Stone Age, through the Ancient and Medieval periods, to the Renaissance. It is also fully bookmarked and hotlinked and designed to be printer-friendly and easy-to-use. We very much hope you will enjoy it!